Sayyid Mohammad Abdullah Shah Madni Jilani was born on 29th Ramadan (Ramazan) 1186 Hijri (24th Dec, 1772 AD) in Madina. His paternal genealogy ultimately reaches Prophet Mohammad sall Allahu alayhi wa’alihi wasallam through al-Ghawth al-Azam (Ghaus ul Azam) Shaikh Abdul Qadir Jilani. While, his maternal genealogy links to Ali ibn Abi Talib through Imam Sayyid Mohammad Taqi. Sayyid Abdul Rehman Jilani Dehlvi, the spiritual guide of Sultan Bahoo, was his great grandfather. Sayed Abdullah Shah’s grandfather Sayyid Abdul Aziz firstly migrated from Delhi to Baghdad in 1696. Afterwards he relocated to Madina in 1698. Since childhood Sayyid Abdullah Shah was devoted towards prayers and had strong spiritual relationship with Allah. Hence, he had learnt the Holy Quran by heart at the age of twelve years. He had an extremely restless nature. To add, he was least interested in worldly businesses. Often, his maternal grandfather Sayyid Mohammad Zaqiuddin took him along to the tomb of Prophet Mohammad. Only there he could find peace of heart. After death of his parents Sayyid Abdullah Shah completely renounced worldly life and started living at Masjid al-Nabvi. There he silently served and prayed for six years. Eventually, the Holy Prophet came in his dream and asked what he wanted as reward for his services. Sayyid Abdullah Shah replied that certainly he wanted the treasure of Faqr. The Holy Prophet told him that for the treasure of Faqr he would have to go to Sultan Bahoo. When Sayyid Abdullah Shah woke up, he was surprised at this dream. Considering it strange to go to someone else while the true holder of treasure of Faqr is the Holy Prophet himself, he started serving at Masjid al-Nabvi again. On awakening Sayyid Abdullah Shah obeyed the order and prepared himself to go to Baghdad. Then, under the spiritual guidance of Shaikh Abdul Qadir Jilani, he reached the shrine of Sultan Bahoo in 1825. Immediately, Sultan Bahoo entrusted him the treasure of Faqr, hence sated him spiritually. Afterwards, he ordered Sayyid Abdullah Shah to settle in Ahmadpur East of Bahawalpur State and guide the seekers of Allah. Thereafter, Sayyid Abdullah Shah spent the rest of life in guiding and persuading people on righteous path. Especially, he spread the beneficence of Ism-e-Allah Zaat in Bahawalpur. Moreover, the nawab of state of Bahawalpur Nawab Bahawal Khan III was a great devotee of Sayyid Abdullah Shah. Undoubtedly, thousands of devotees acquired the blessing of Faqr from Sayyid Abdullah Shah. However, he found the true and strongly capable devotee in the purest soul of Pir Mohammad Abdul Ghafoor Shah. Thus, before his death he entrusted the treasure of Faqr to Pir Mohammad Abdul Ghafoor Shah for future guidance of seekers of Allah. Sayed Abdullah Shah got the title of Sultan-ul-Tarikeen from the Mohammadan Assembly. It means ‘the king of renouncers’ and it depicts his absolute renunciation of world. 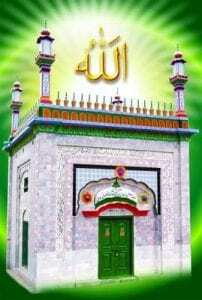 Moreover, Madni is part of his name due to his association with Madina. Whereas, Jilani shows his relation with Shaikh Abdul Qadir Jilani. Sayyid Abdullah Shah Madni Jilani died on 29th of Ramadan, 1276 H (20th April, 1860 AD). 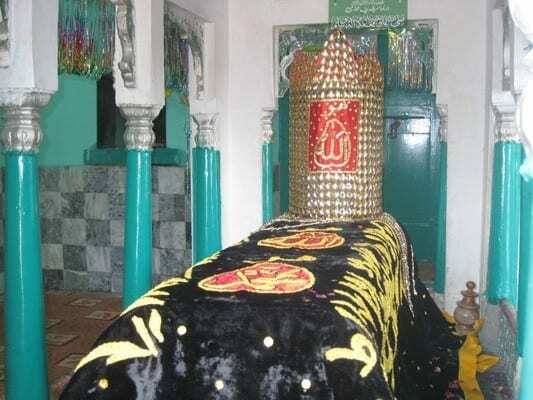 His shrine is in Ahmadpur East Bahawalpur (Pakistan). His death anniversary is held on the second Sunday of Shawal.